Home Science for Kids 5 Ws & H What Makes the Egg Shell so Strong? 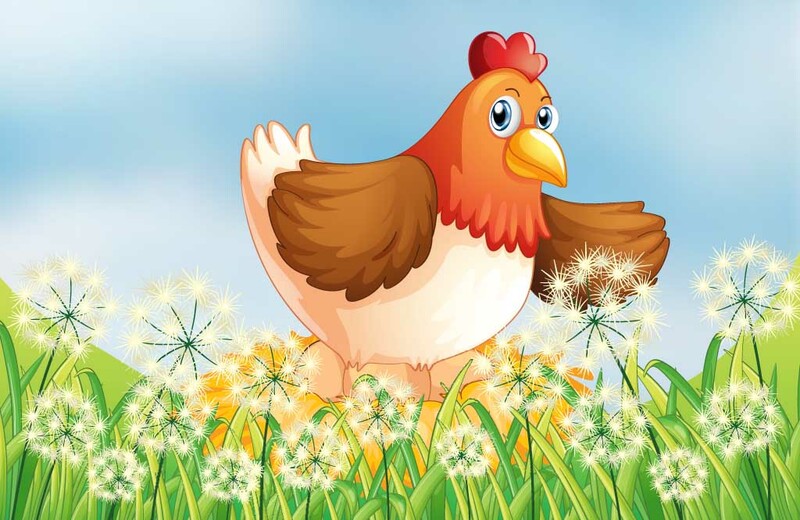 Have you ever wondered why hens don’t break their eggs when they sit on them? The secret lies in the shape of the egg. An egg is a great example of nature’s excellent skills in packing. If you squeeze the ends of an egg between the palms of your hands, it won’t break. However, if you squeeze it in the middle, it pops and creates a terrible mess. If you have seen the way eggs are sold in the market, you would have noticed that they are kept with their ends pointing up and are never left lying horizontally. Hens, too, incubate their eggs the same way, with the narrower end pointing upwards. For distorting or crushing an object, its shape is as important as the material it is made of. Although an eggshell is really fragile, its queer dome-shaped end makes it a ‘tough nut to crack’. If you have seen the Taj Mahal or any mosque, you would have noticed that the roof is a huge dome. In earlier architectural forms, buildings had huge horizontal roofs which had to be supported by a large number of pillars. The dome is, however, a curved structure – it has no angles and no corners – and it can enclose an enormous amount of space without the help of a single column. What the dome essentially does is that it distributes the weight and the pressure applied on the top evenly to the entire structure. In fact, in architecture, the dome is one of the strongest designs for it supports the weight of the roof evenly so that no single point on the dome supports the whole load and gives way under stress. Similarly, the dome shape of each end of the egg distributes all the weight evenly and minimises stress and strain. You can actually test this with a simple experiment. Take two eggs and poke a tiny hole at the narrow end of each egg and pour out the contents. Then stick a thick tape around the middle of each egg and carefully cut through the tape with a small pair of sharp scissors. The tape will prevent the eggs from cracking and you will get four half eggshells of equal sizes with level bottoms. Place the four eggshells (cut side down) on a flat surface in a rectangular shape in such a way that the rectangle is slightly smaller than your books. Then lay a book on the eggshells. Then another. Do the shells crack? While adding the books, do make sure the eggshells do not move. If they get pushed around, they will crack. Continue till the egg shells crack. If you weigh the books you had placed on the shells to see how much weight the eggs could take, it will be much more than the average weight of a hen.